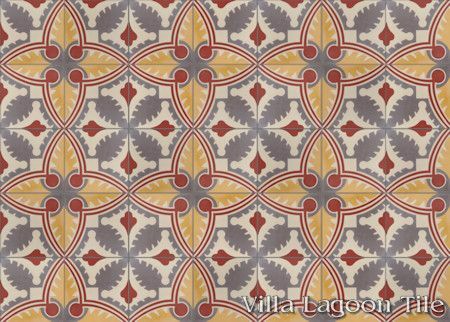 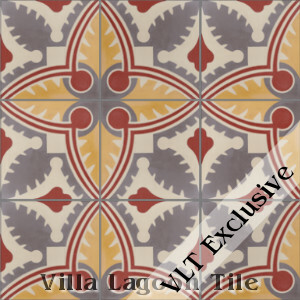 This is a 4-color 8" cement tile, using Ancestral Cream, Earthen Gray, Beacon Hill, and Oro from the South Beach Palette. 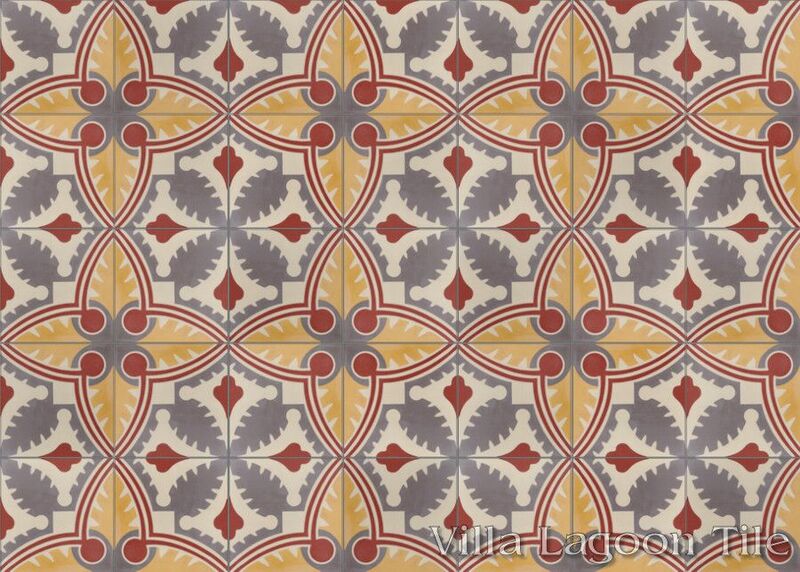 When we spotted this beautiful antique cement tile pattern, we thought it was due for a revival. 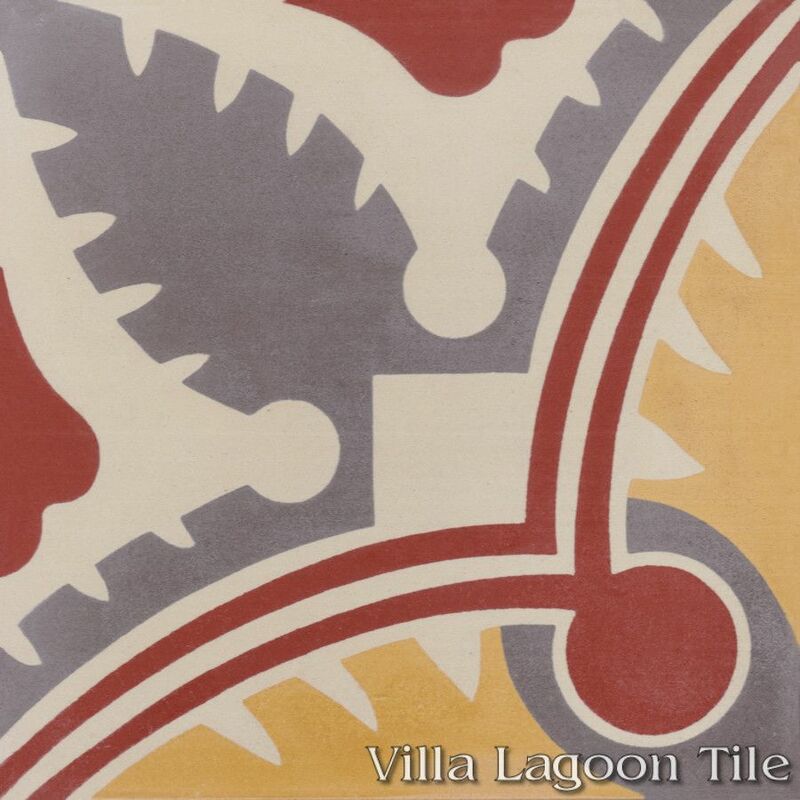 Our "Carlotta" cement tile design falls strongly into the category of Cuban tile, with an influence of Art Deco. Palm fronds are made angular and symetrical, with bold ornamentation.